Need Something to Binge this Winter Break? I Got You // Skam and Why You Should Watch It - Next Page Please! A lot of the time, shows that are super long (*cough* Grey's Anatomy) will kind of drive me away from watching them. Skam is currently 3 seasons long. To me, this is a pretty long binge, a week long maybe but Skam is not your average show. For one, each season is only about 11 episodes long and each episode averages to about half an hour. The show is super short, you could finish it in less than 24 hours if you're crazy enough. It's short but sooo addicting. If length is something you consider when starting a new show, it definitely won't be a problem for you when it comes to Skam. Here's the great thing about foreign shows: they're different compared to American ones because they take place in a new place, they speak an unfamiliar language, they have different traditions and mannerisms. I would have watched this show Norwegian or not but the fact that I am learning new things about Norway as I watch this show is awesome because it's such a small country that not many people know much about. If it's anything I love, it's a strong group of friends who support each other, which I discussed before. The show is kinda based on this squad? The first two seasons are based on two girls from our main group of friends and then season 3 revisits a character we saw a good amount of in season 1 that isn't apart of the group of friends. The group of friends make the show so much fun to watch because each character is different from the next one and their interactions are the best. There are a lot of characters in this show and I really love them all. If I could write an essay on how fabulous each of them are, I would but sadly I don't have time for that so I am hoping my presentation of my favorite character will maybe convince you to watch the show. This is Noora, as you can tell she's my favorite character and I love her. She's such a feminist, stands up for her friends, and has great taste in clothing and interior decor. If you're going to watch Skam for only one reason from this list, I would really it's for Noora because she is so worth it. She get's some of the best moments in this show in my opinion and is so loyal to her friends. I. Love. Her. One thing that originally drew to me to the show was that it handled real life situation and topics really well. I'm not going to make a huge list on which ones they are because I'm not going to spoil but let's just say the show features some pretty realistic situations that I haven't seen much of in shows. The show also isn't cliche. This being a drama about teens, it could easily get very cliche but I can point out many moments where the show could have gotten cliche or predictable but it didn't, which I love because when you watch a show where you can guess what a character is gonna say next, it doesn't get fun. I love how well the producers and writers have handled the topics they have covered in the show, all while keeping it fun and not cliche. I'm not even going to lie, I love fashion and outfits that are featured in this show. I've heard that the stuff the characters wear is pretty true to what Norweigian teens living in the area the show takes place in wears, which is pretty awesome because I am in love with the outfits they wear. And! 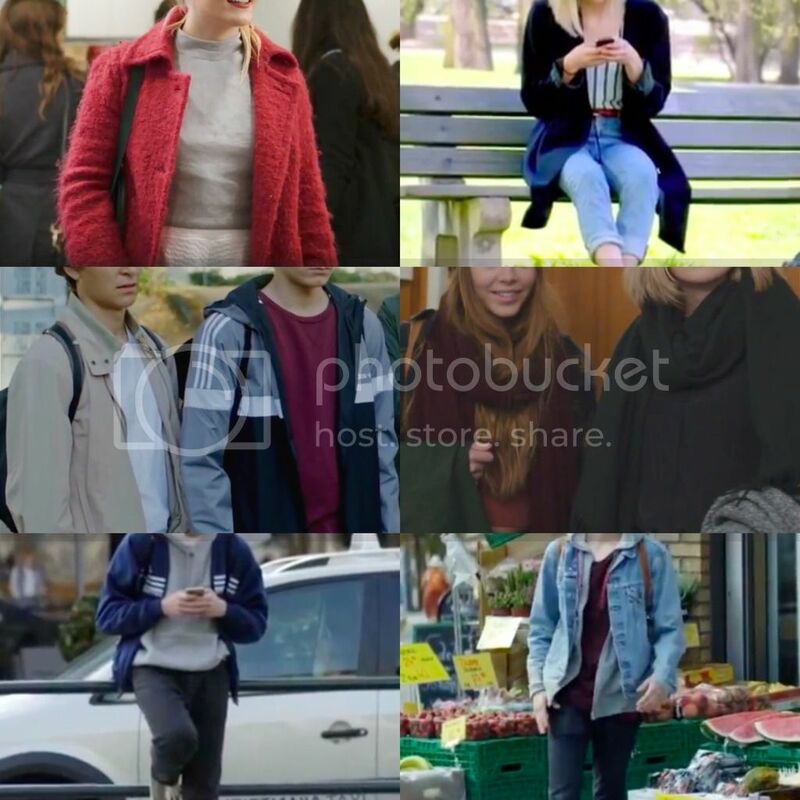 They also re-wear clothing pieces a lot therefore adding on to the realness of this show because it just shows that the characters really don't have an endless supply of outfits. The really cool thing about this is that the producers of the show try to make the character's lives as realistic as they can to the viewers. What does this mean? So, a full episode is basically short clips parts of the character's day. But, they also release these clips on their website. If a clip is about a character eating breakfast on a Saturday morning, the clip of this will be posted on the Skam website the same Saturday morning. It's all very realistic and I love it because new content from the characters is always coming. Sometimes it may be a post from their social media, a screenshot from a text message with other characters, or a short clip of some part of the character's day. It's definitely something I haven't seen before and one of the reasons why this show is so unique. 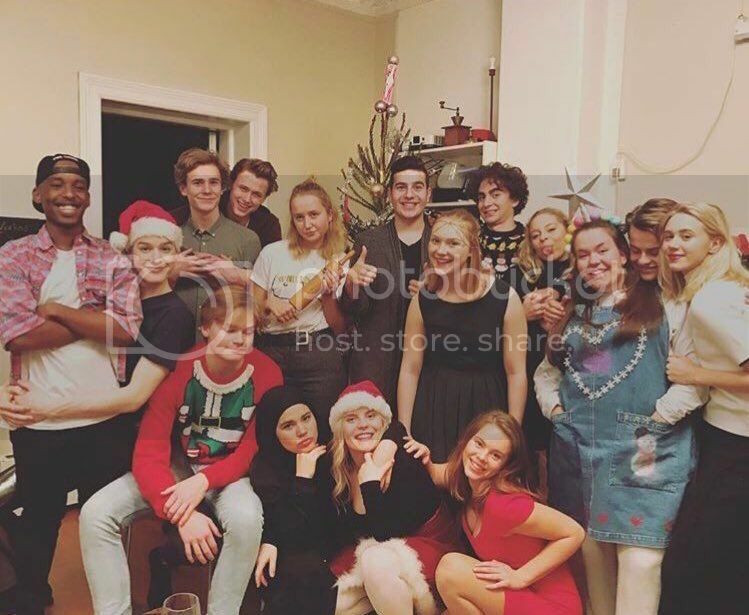 If you want to see some of my favorite moments from Skam, I have an ongoing thread on my Twitter aaaaaall about it! Think you're interested in the show? Yay! You can find season 1, 2, and 3 on Google Drive (these folders are not mine by the way.) The only thing you have to do is make copies of each episode in order to view them. If you start the series, let me know! I would love to hear your thoughts.